Strive is a fictional streetwear retailer who uses analytics and innovative technologies to improve their customer experience and business operations. 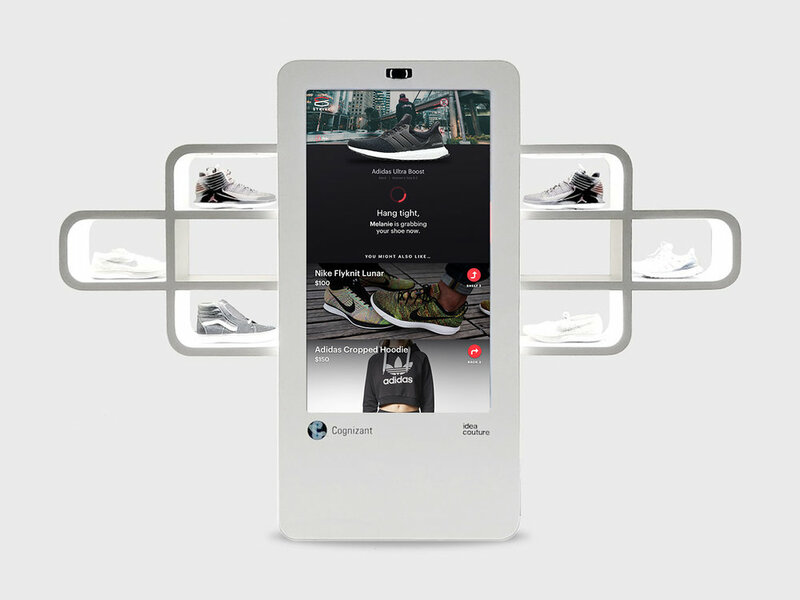 Strive is a concept for a retail brand that uses technology to connect people to the world of street fashion. I designed the digital experience and visual design for the fictional brand. This was a 6 week project where I collaborated with an Industrial Designer, Electrical Engineer, and Front-end Developer to implement the design for a keynote presentation at an internal Cognizant conference. The experience is first activated by walking up to the display. 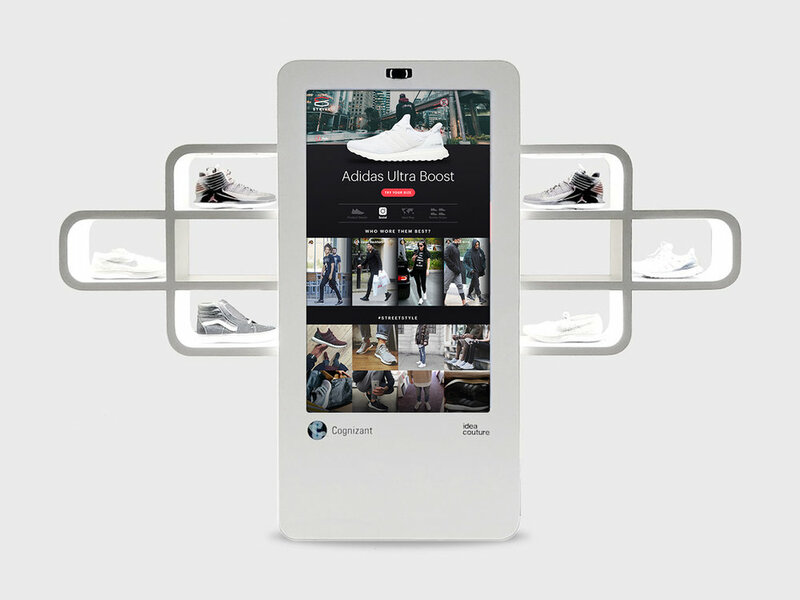 The front-facing camera recognizes the user and displays content targeted with a call to action to pick up a shoe. 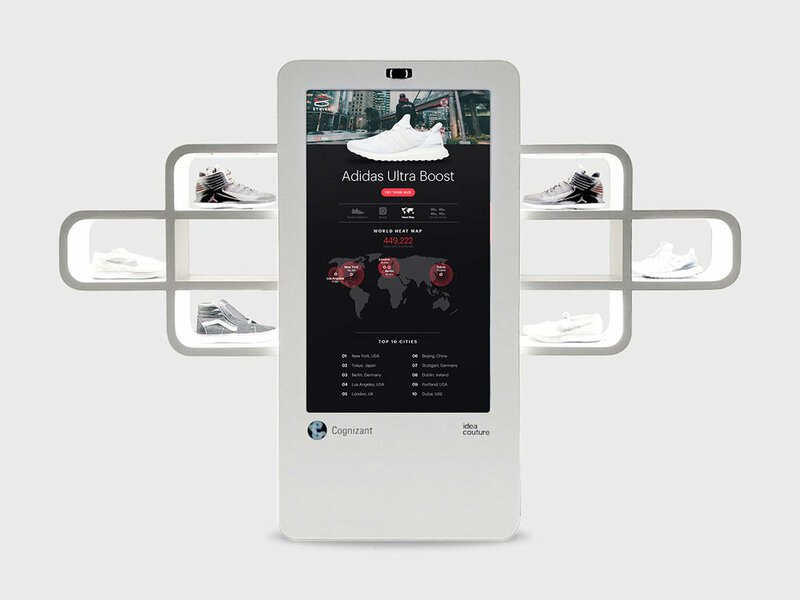 When the shopper picks up a shoe, the screen changes to a product view with tabs to explore details, social content, and a heat map of where the shoe sells. Shoppers can then request a pair for try on. To accompany the retail display, I designed a dashboard concept for a Senior Buyer to track sales by region, inventory, and demographic data from the in-store cameras. The dashboard also features a built-in AI assistant to highlight trends and anomalies and offer recommendations to restock certain items.